What happens when the creative heart and soul of a studio retires? If it’s Hayao Miyazaki, the studio shutters with him. 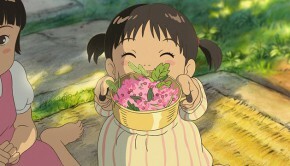 Not long after the legendary anime director, now 78, announced in 2013 that he was calling it quits (not his first time), his movie home, Studio Ghibli, halted production, ending its three-decade run with two Oscar-nominated films, “The Tale of the Princess Kaguya” and “When Marnie Was There.” The news left animation fans across the globe wondering if the makers of such beloved films as “Princess Mononoke” and “Spirited Away” would ever release another feature. The decision also raised other questions. 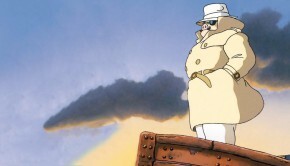 Could Miyazaki — one of the world’s most ambitious and tireless directors — actually stay retired? And what would all those other creative minds at the studio do? 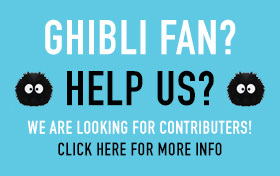 For the Ghibli producer Yoshiaki Nishimura (“Princess Kaguya”) the answer was simple, at least in theory. 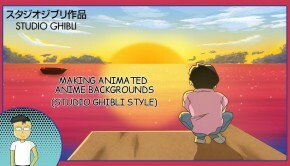 He would create his own studio, pulling some of the top talent from Ghibli’s deep stable of feature film animators. 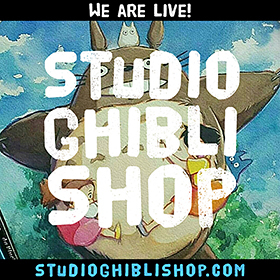 The result is Studio Ponoc, which began life in 2015 in Kichijoji, a neighborhood in western Tokyo that’s home to the Ghibli Museum and a major center for Japanese animation. Despite a tough start — low budgets and a reported staff of “two to three” — Ponoc quickly expanded its work force to more than 400. The studio’s first feature, “Mary and the Witch’s Flower,” was a hit, becoming one of Japan’s biggest box-office draws in 2017. Its second, “Modest Heroes,” was released in the United States on Thursday, Jan. 10. 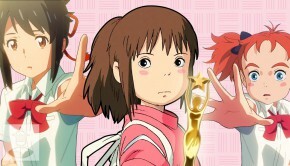 If Ponoc’s first movie, “Mary and the Witch’s Flower,” had elements in common with a previous Ghibli classic, 1989’s “Kiki’s Delivery Service” (the young female witch protagonist, the black cat familiar, the broom-borne aerobatics), its second, “Modest Heroes,” is something else entirely. First, it’s not a feature at all, but a collection of shorts, a format that Ghibli would never release in commercial theaters. If you want to see, say, “Mr. Dough and the Egg Princess” or “Water Spider Monmon,” there’s only one theater in the world where you can see them. With “Modest Heroes,” some of those same artists are making shorts meant to be seen outside of a museum setting, and directing their own works for the first time. 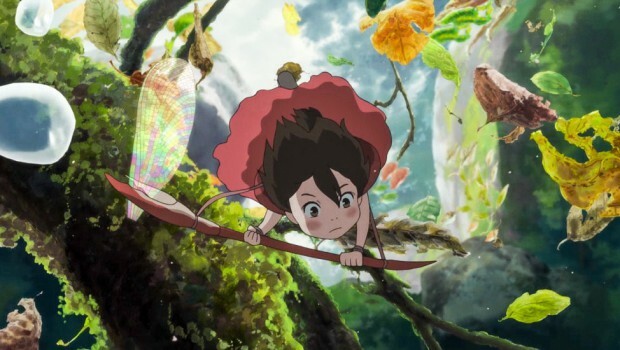 In “Kanini & Kanino,” the Academy Award-nominated director Hiromasa Yonebayashi (“The Secret World of Arrietty”) tells the story of two crab brothers who encounter menacing minnows and stampeding raccoons (the crab boys are very, very small) on a quest to save their dad. In “Life Ain’t Gonna Lose,” the animator and first-time director Yoshiyuki Momose (“Spirited Away”) finds high drama in a young boy’s life-threatening food allergy (fried eggs and squeeze-bottle mayo have never looked so fearsome). And in “Invisible,” Akihiko Yamashita (“Mary and the Witch’s Flower”) tells the story of a guy who becomes the unlikeliest of animated action heroes. “‘Invisible,’ with its motif of an invisible man, took on the considerable challenge of using hand-drawn animation to draw what is essentially undrawable,” Nishimura said. The Ponoc films are a major departure from two of Ghibli’s most recent works: “The Wind Rises” ended with the hero losing his young wife to tuberculosis; “The Tale of the Princess Kaguya” with the heroine leaving her earthborn parents to return to her home on the moon. “Modest Heroes” was initially envisioned as four films, with the director and Ghibli co-founder Isao Takahata contributing a seven-minute segment based on a story from the Japanese epic “Heike Monogatari.” But that project was canceled when Takahata died in 2018 at 82. Nishimura worked with the director during the last 10 years of his life, and said he was inspired to join Ghibli after seeing Takahata’s critically acclaimed “Grave of the Fireflies” as a young boy. “When Isao Takahata died, I cried like I have never cried before, and I felt like a part of me had been chipped off from the shock,” he said. “Modest Heroes” ends with a dedication to him.